Today is Stir-Up Sunday. Stir-Up Sunday is an informal, and not particularly common, term in English communities for the last Sunday before Advent whether you go to church or not. 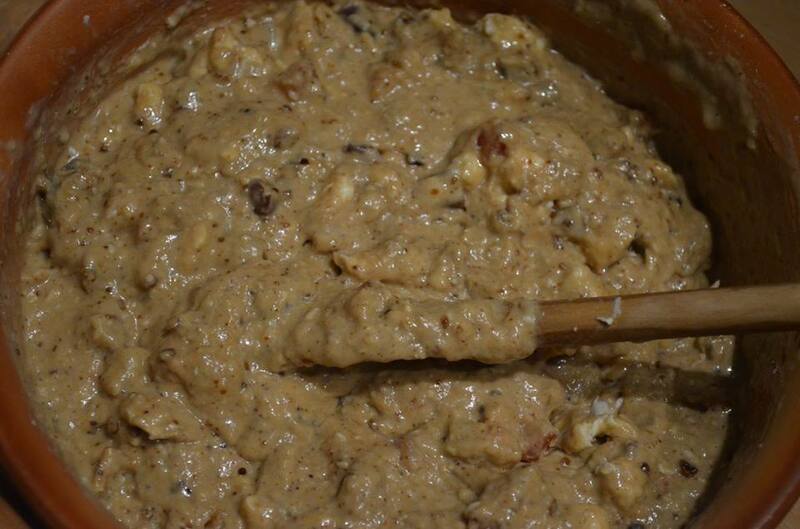 It gets its name from the beginning of the Church of England collect for the day in the Book of Common Prayer, which begins with the words, “Stir up, O Lord, the wills of thy faithful people,” but it has become associated with the custom of making Christmas puddings on that day. Christmas puddings need to be matured for 6 weeks or longer to bring out all the rich flavors, so today is as good a day as any to make them, and then keep them for Christmas. It’s the first little signal for me that Christmas is coming. Over the next 5 weeks I am going to show you how I “unpack” Christmas so that it’s not all one big jumble that wears everyone out to the point that they are glad when it is over. Every week of the Advent season has a different focus, and I enjoy separating out the layers. Many years ago when I was training as an EMT I worked 12-hour shifts on an ambulance with a driver and a paramedic. First morning we stopped for breakfast at a diner and the driver ordered fried eggs, bacon, sausage, and hash browns. When it came, he dumped ketchup on everything, chopped it all up into tiny pieces, mixed everything around together, and ate the jumbled up mess with a spoon. To each his own, I guess. That breakfast is how I see modern Christmas – sleigh bells, angels, magi, baby Jesus, santa, puddings, turkey, stars, presents, and Mary all swirled around in a chaotic mess. I don’t like it. I take Christmas one piece at a time and savor it before going on to the next piece. 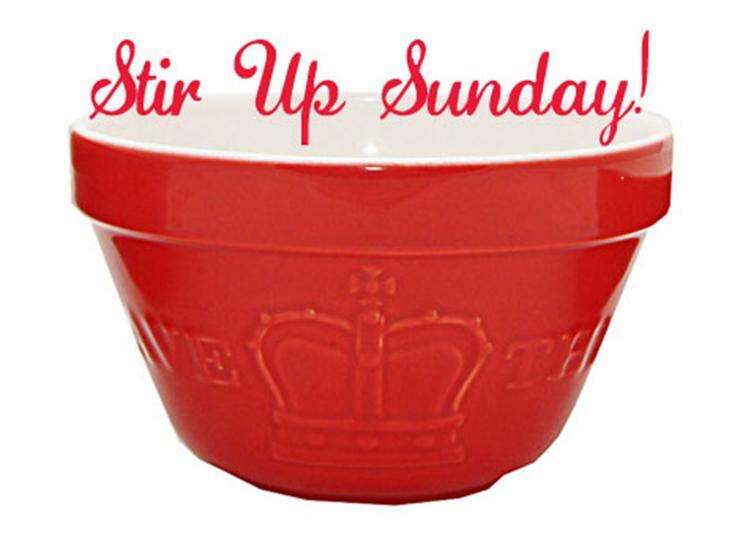 It starts with Stir-Up Sunday. Excita, quaesumus, Domine, tuorum fidelium voluntates: ut divini operis fructum propensius exsequentes, pietatis tuae remedia maiora percipiant: Per Christum Dominum nostrum. Amen. In the Book of Common Prayer, this collect is listed for “The Twenty-Fifth Sunday After Trinity” with a rubric specifying that this collect “shall always be used upon the Sunday next before Advent.” This reinforced the significance of this day as forming part of the preparation for the season of Advent. The rubric is necessary because the last Sunday before Advent does not always fall on the twenty-fifth Sunday after Trinity: Trinity Sunday is a moveable feast and the Advent season is fixed, so the number of weeks in between varies from year to year. 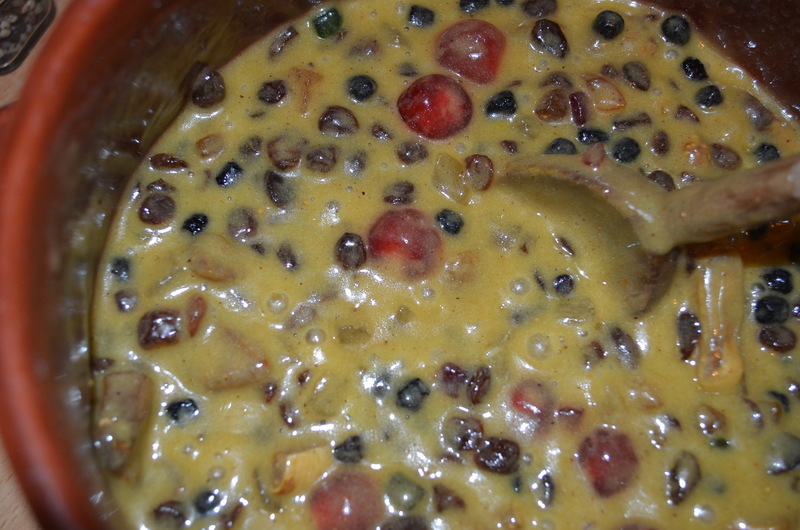 Common folklore has it that the words of the collect reminded people that it was time to make Christmas pudding so that it had time to mature. Certainly in Victorian times there were no signs that Christmas was on its way as there are now in many countries in the West. Nowadays, shop owners get a jump on Christmas sales by starting to decorate after Bonfire Night in England, and after Halloween in the U.S. (although traditionally the end of Thanksgiving used to signal the start of Christmas). I went to a big mall in Mantua yesterday to buy some winter clothes and was surprised to notice that the stores were already decked out with Christmas lights and decorations, which were also prominently on sale in the supermarkets. I was surprised because here, as in Argentina, the Feast of the Immaculate Conception (8th December) is the kick-off event for Christmas, and in neither place is Christmas the huge materialistic splurge it is elsewhere. No matter, I’m making my puddings today. I don’t remember when my mum made the puddings each year, but it was a week-end affair because she worked during the week and it’s a big task. She assembled all the ingredients, mixed them together, then we were all called to the kitchen to stir the pudding and make a wish. It’s heavy going. Pudding mix is very stiff and takes a strong arm to stir. 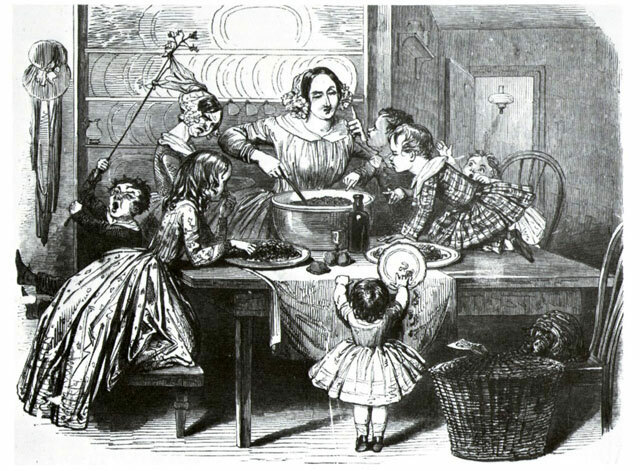 Popular folklore has it that the tradition of everyone in the household stirring the pudding began because it is hard work that is best shared. I don’t believe this for a minute, but I have fond memories of doing it every year, and I passed on the tradition to my family. Now, sadly, I do it alone – but I do it. In a recent survey of English children 65% said that they had never experienced stirring a Christmas pudding as a family. That’s because fewer and fewer households make their own puddings. Several companies sell the readymade variety and some of them are not bad. They are not for me. I love the rich aromas that waft through the house as I steam the puddings, as well as all the rigmarole that goes into the preparation. In Argentina, China, and Italy I have struggled to get all the necessary ingredients. 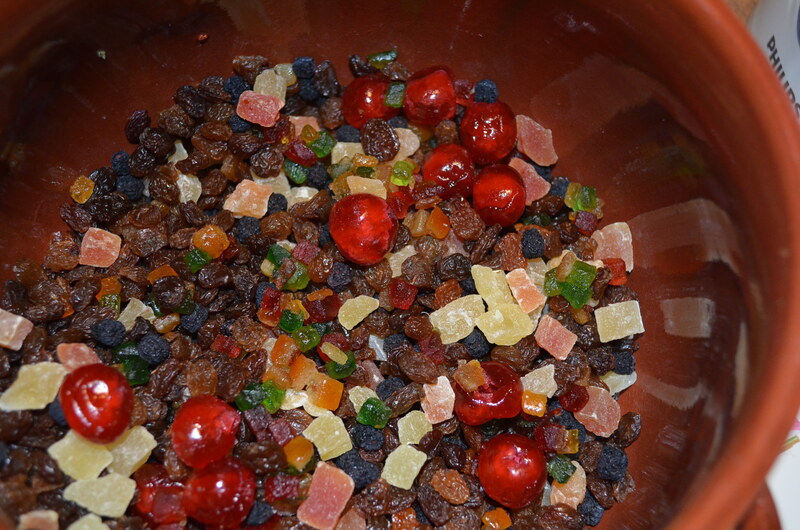 I really have to hunt for crystallized fruit, for example. Raisins and currants can be tough to find too. The recipe I am going to give you today is based on what I could dig up Friday and yesterday. You’ll find thousands of recipes for Christmas pudding. 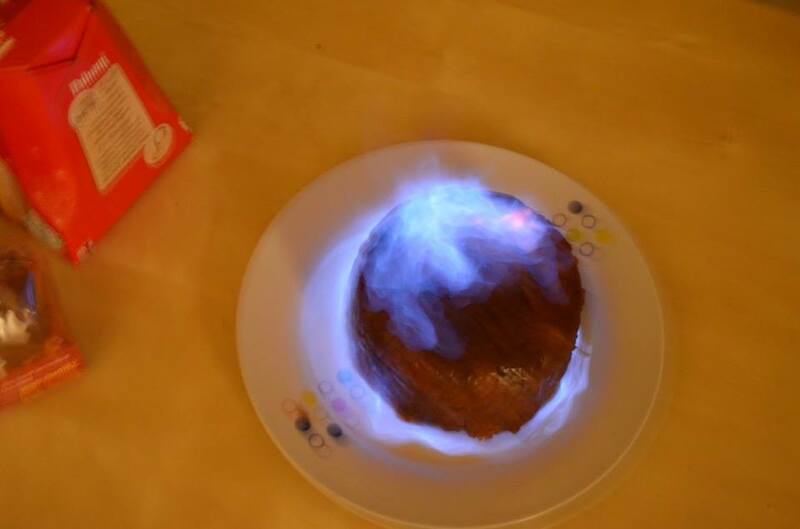 A lot of them try to make the pudding light. That’s not for me. I want a dense, dark mass redolent of spices and brandy that sinks like lead on top of a pile of Christmas goose and roast potatoes. That’s my idea of Christmas dinner. If need be you can add another leaden ball of Christmas cake at tea time. I eat pretty healthily and light throughout the year, so I see no reason not to have a spectacularly unhealthy meal on one day. Bring on the fat, sugar, and carbs. INGREDIENTS.—1-1/2 lb. of raisins, 1/2 lb. of currants, 1/2 lb. of mixed peel, 3/4 lb. of bread crumbs, 3/4 lb. of suet, 8 eggs, 1 wineglassful of brandy. 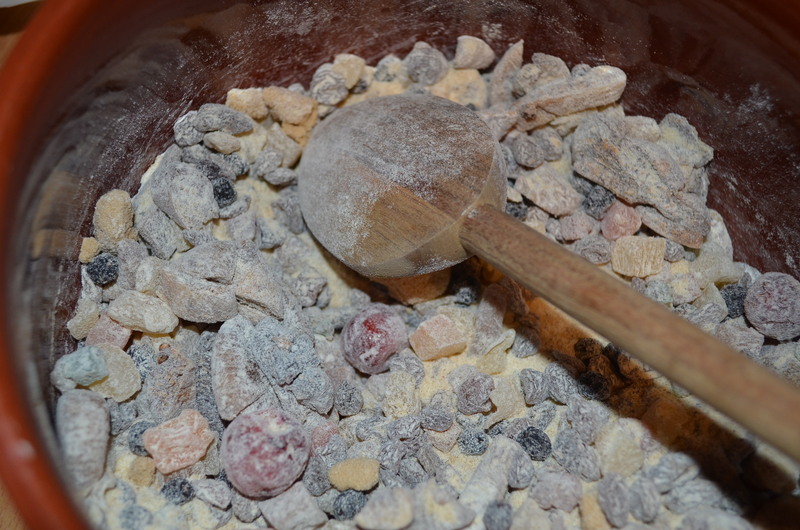 Mode.—Stone and cut the raisins in halves, but do not chop them; wash, pick, and dry the currants, and mince the suet finely; cut the candied peel into thin slices, and grate down the bread into fine crumbs. When all these dry ingredients are prepared, mix them well together; then moisten the mixture with the eggs, which should be well beaten, and the brandy; stir well, that everything may be very thoroughly blended, and press the pudding into a buttered mould; tie it down tightly with a floured cloth, and boil for 5 or 6 hours. It may be boiled in a cloth without a mould, and will require the same time allowed for cooking. As Christmas puddings are usually made a few days before they are required for table, when the pudding is taken out of the pot, hang it up immediately, and put a plate or saucer underneath to catch the water that may drain from it. The day it is to be eaten, plunge it into boiling water, and keep it boiling for at least 2 hours; then turn it out of the mould, and serve with brandy-sauce. On Christmas-day a sprig of holly is usually placed in the middle of the pudding, and about a wineglassful of brandy poured round it, which, at the moment of serving, is lighted, and the pudding thus brought to table encircled in flame. I prefer to use flour rather than breadcrumbs, and I add a splash of milk, plus a whole lot of spices. Modern recipes tend to be stingy with aromatics. They are the essence of Christmas for me – especially cloves and allspice. For a recipe this size I use about half a tablespoon of a mix – allspice, nutmeg, ginger, cinnamon, and cloves. I don’t worry too much about proportions. I lost my book with Francatelli’s recipe in it when I left the US. Now I just do everything by feel, and use the ingredients I can get my hands on. Here’s what I made this morning. Suet should be the fat but I had to use butter because I could not find suet. I’ve used butter before. It’s not optimal: suet stands up to the long boiling better. Beggars can’t be chosers. Place all the fruit in a very big container. I used to use my stock pot. Mix it all well. 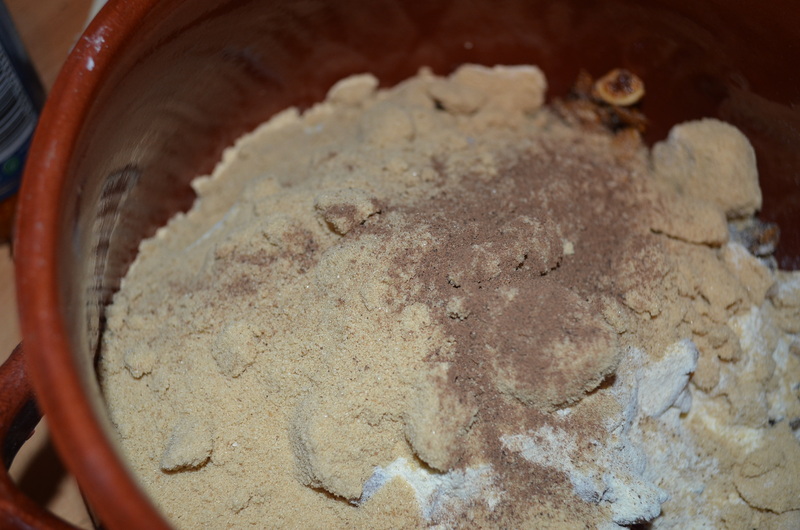 Add the flour sugar and spices and mix again until the ingredients are evenly mixed. 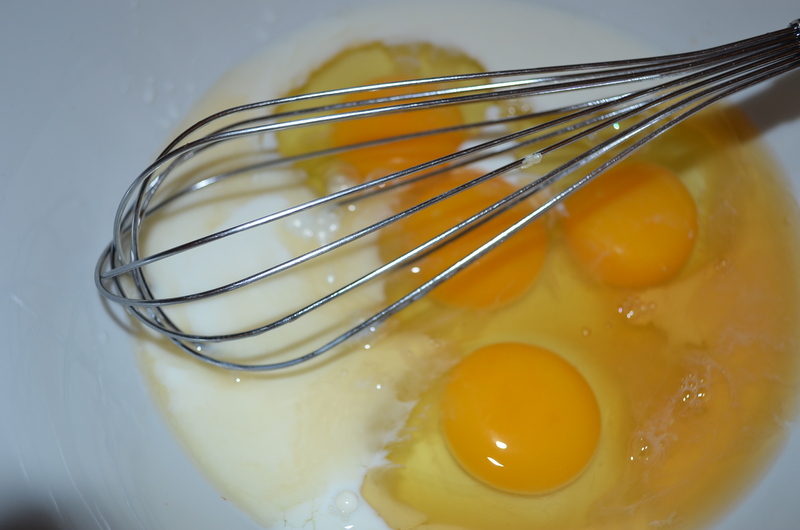 Beat together the milk, eggs, and brandy. Pour this mixture into the fruit and add the butter. Stir with all your might. This will take some effort and you must really work at it because you will keep finding pockets of dry ingredients for a while and it must all thoroughly mix. At this point invite the rest of the household to give the pot a stir and make a wish. At one time it was common to add a small silver coin to the mix or (especially in Victorian times) a special silver charm. My granny used to add an old silver threepenny bit, but my mum was opposed to putting choking hazards in puddings. I don’t do it either. Your choice. Let the mix sit all day. Then in the evening grease and line a pudding basin with a double layer of cheesecloth so that it laps over the sides. Fill the basin with pudding mix and cover the top with the overlapping cheesecloth. Place the basin in the top of a steamer and steam for no less than 6 hours. The longer the steaming, the better. Remove the pudding basin from the steamer and let it cool a little. Pull the pudding out of the basin and let it cool completely. Put it in a large, heavy zip top bag. 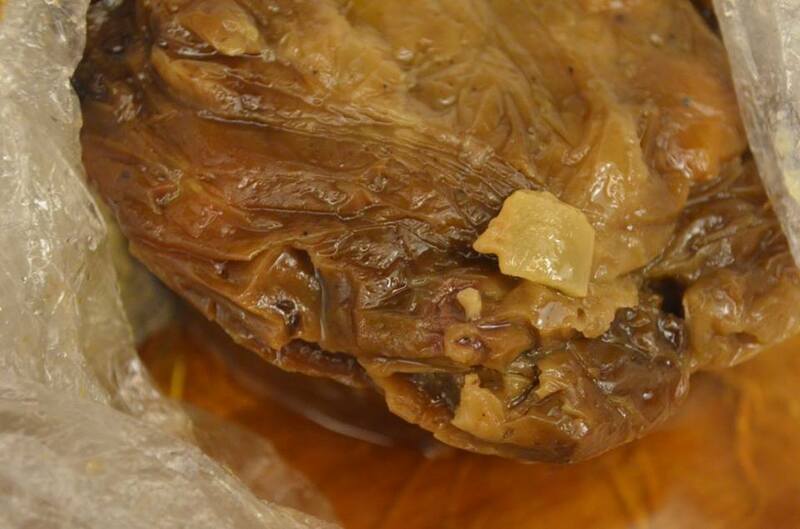 Dump in a generous amount of brandy, press out the air, and seal the bag. Store in a cupboard until Christmas Day, checking each week to see that there is still enough brandy in the bag to keep the pudding moist. It does drink up the brandy over time. On Christmas Day return the pudding to the basin and steam once more. I usually put the pudding on to steam after breakfast and let it steam another 6 to 8 hours. This part is best if it is dark out at the end of dinner. Unmold the pudding piping hot on to a serving platter. Warm a little brandy in a metal ladle. Pour it over the pudding and set light to it. Then parade it in front of your guests in a darkened room. You have to be really quick. You can serve the pudding with an egg custard or brandy butter, but I prefer chilled whipped cream.